“tis the season to be joyful, and we have a good reason to be happy with you this week! 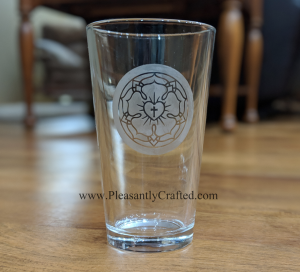 Are you familiar with Pleasantly Crafted? This site has Lutheran art and gifts, made by a Lutheran woman! Let’s introduce you to her, and her shop, and then we will tell you about the giveaway. Please read below for some information about Samantha, Pleasantly Crafted, and her family. We hope that you enjoy her art, and this opportunity! Hi! My name is Samantha Bender. My husband John and I met while attending Concordia University Chicago where I received my degree in Lutheran Elementary Education. I worked for a short time, but now stay home full-time with our four children (Sarah, 6; Jacob, 4; and twins Mary & Elizabeth, 2). While I did not major or minor in art, I have always had a love for it. During my spare time, I do freelance editing, crafting, and graphic design. When I am not busy doing those things, I make art for fun. My favorite projects are gifts for family and friends. 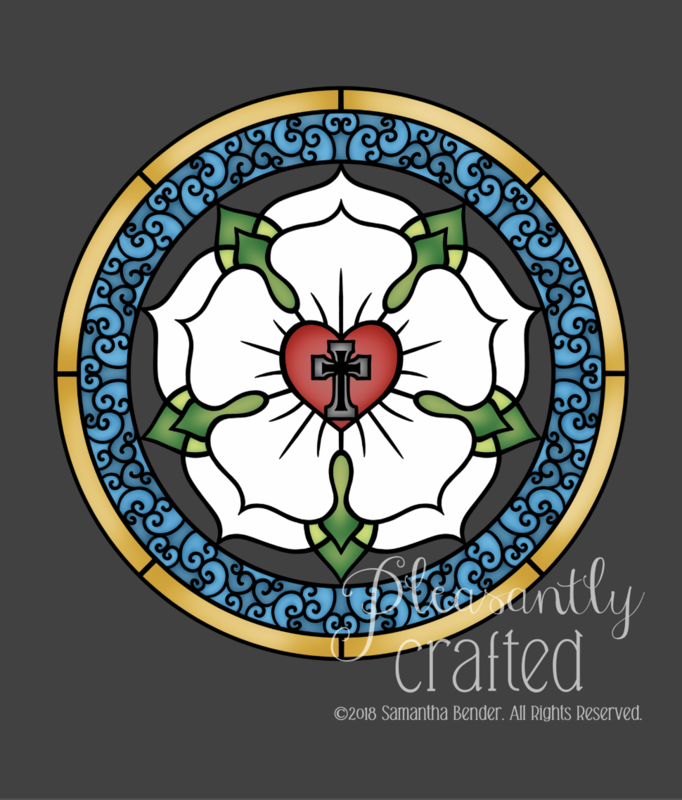 I used to create a lot of portraits and an assortment of other art, but after making some Lutheran art for family and friends, I found I really enjoy creating theological artwork to keep what’s most important at the forefront. I hope that my artwork brings joy to others and helps keep their faith in focus. Fun facts: My parents’ names are Mary and Joseph, I can do a one-handed cartwheel without spilling a glass of water, and while I make beer glasses, I don’t like the taste of beer myself. Now let’s tell you about what she’s giving away! One winner will be able to choose from either a Luther’s Rose glass or a Luther’s Rose 8×10 metallic print. Which would you pick? It’s a touch choice! If you’ve been with us for giveaways before, you know the drill! 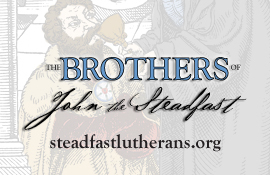 Go visit both of our Facebook pages (and we’d like if you follow them, too!) and then enter. Good luck!